It is one of at least 85 active and identified cannabinoids in the Hemp plant . It is a major cannabinoid, accounting for up to 40% of the plants extract. It is not psychoactive ie. you absolutely CANNOT get ‘high’ or intoxicated by consuming CBD rich Hemp Oil or any natural product from Industrial Hemp plants for that matter. Unlike “Medical Marijuana” it does not contain the psychoactive properties of THC. 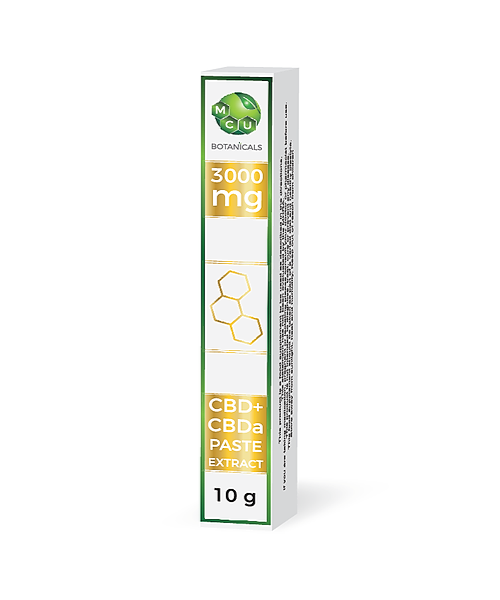 Additionally, it is well known in scientific research* that CBD is anti-psychoactive. Our CBD oils are derived from a rare selective strain of cannabis with high concentrations of CBD and less than 0.2 percent THC which in turn allows this strain to fall under the category of industrial hemp which is grown legally all over the world for a large variety of uses, so this could be considered CBD-rich hemp oil, hemp derived CBD oil, or CBD-rich cannabis oil. Again, cannabis doesn’t mean marijuana, but is the genus name, and general umbrella term which all forms of marijuana and hemp fall under. The form of cannabis we use for our CBD oils is extracted from a specificially bred strain of industrial hemp. IF A CBD HEMP EXTRACT IS 25% CBD, WHAT’S THE OTHER 75%? WHAT’S IN CBD OIL BESIDES (CBD)? Our CBD oils contain over 80 different phyto-cannabinoids, most notably cannabidiol (CBD) CBDA, CBC, CBG, CBN amongst others. In addition to the cannabinoids present in our industrial hemp oil extracts, there are also many other types of natural molecules and phyto-chemical compounds such as amino acids, carbohydrates, vitamins (including B1, B2, B6, D, & E), fatty acids (including omega 3 & 6), trace minerals (including iron, zinc, calcium, magnesium, & potassium), carotene, chlorophyll, flavanoids, water, and terpenes. Both CBD and CBDA are cannabinoids, unique compounds formed within the hemp plant. CBD has always been seen as the most promising of the cannabinoids for potential research, and as such, CBDA has fallen to the wayside. However, the recent popularity of raw juicing cannabis has revived peoples interest in CBDA. So what is CBDA? CBDA is the acidic precursor to CBD. When hemp grows, its produces CBDA not CBD. These cannabinoids in their acidic form are often seen as being ‘inactive’. When hemp is heated, such as through smoking, cooking, or vaporization, a process known as decarboxylation occurs. Decarboxylation turns CBDA into CBD . Both CBDA and CBD are non-psychoactive, meaning they won’t get you high. Although CBDA is largely seen as inactive, that status may not really do it justice. There is currently only little research into the properties of CBDA, but what research has been done, has found significant properties within this molecule suggesting it also helps maintain a healthy endocannabinoid system.